Feng Shui store Gems Shine has two locations in Singapore, one at Bras Basah Complex (231 Bain Street) and another within The Bencoolen (180 Bencoolen Street). 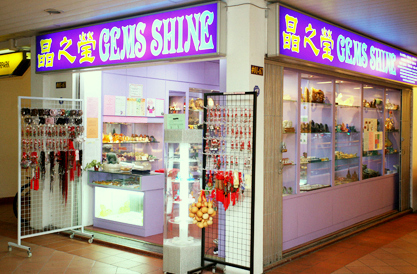 Gems Shine is both a Feng Shui shop and consultancy, selling a wide range of natural crystals, including semi-precious jewelry, that have a positive energy to enhance and enrich one’s personal luck at home or at the office. …Yijing Bagua Divination, Xuan Kong Flying Star Analysis, light and aura reading, as well as other Feng Shui Consultation Services (HDB 3 rooms, HDB 4 rooms, HDB 5 rooms, condos). Of the services, Bazi consultation aims to reveal all about your life, your wealth potential, timing of your success luck, love life, and everything you want to know, and need to know to ensure your potential being actualized. The best way to learn more about the Feng Shui store is to browse their official website. At the official website, www.gem-shine.com, you can also learn details about the consultations the company does, see pictures of the available Feng Shui items, plus much more.